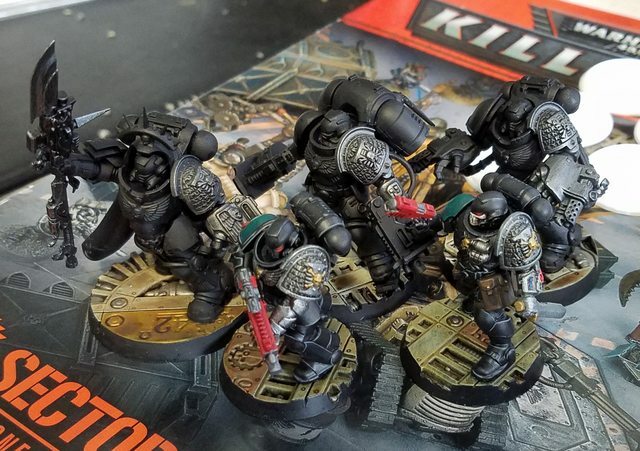 Can Dark Imperium Primaris Marines be used as Deathwatch? Subject: Can Dark Imperium Primaris Marines be used as Deathwatch? Bender wrote: * Realise that despite the way people talk, this is not a professional sport played by demi gods, but rather a game of toy soldiers played by tired, inebriated human beings. The ork train has no breaks mothersquiggor! Nope 100% unacceptable would not play it. It is an outrage that you would even suggest saving a great deal of money to cheat your way out of being 100% WYSIWYG. I demand you go out and buy an ENTIRE new army if you want to employ such minor changes. Fiscal responsibility and being reasonable have no place here. You must also master class paint them or what even is the point of the hobby? Furthermore you must be the one to master class paint them because paying someone else to do it in a mutually beneficial agreement is morally wrong. I turned all mine into DW via the upgrade kit. Trim the arms while they are not attached. Not to hard to do. "Accept that Tzeentch has a place for all of us in his grand scheme, and be happy in the part you have to play." "This is Chaos. We don't "ka-frickin'-boom" here." Oooooh I like the Gravis Captain there. What's the in-game loadout supposed to be, though? Watch Master with Guardian Spear. How are you justifying the Power Fist and Boltstorm, or do your opponents really not care? It seems hard to justify it as a Clavis to myself though I would play against it. I mean, nothing else DW has a Guardian spear, so it shouldn't actually matter after that. But I might actually have shaved off the Boltstrom pistol itself. The fist is small on the Gravis, so it could pass as just a big hand. 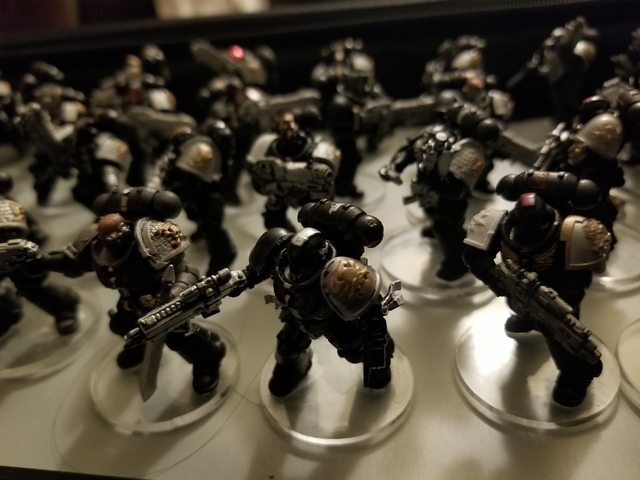 Subject: Re:Can Dark Imperium Primaris Marines be used as Deathwatch? As others have stated, cutting off enough of the shoulder pad to swap them is easy. Dark Artisan on YouTube did a video exactly on this, it involved pliers and a knife.